When it comes to putting a home theater, media equipment, or automated home system into your home, it's a good idea to get the assistance of a qualified home system installer. At Northwest Digital Media, our professionals know how to get you hooked up so that you can enjoy your entertainment. Our company offers terrific design along with affordability, and we'll do our best to ensure that your home theater is built in line with your dreams. From taking care of the wiring setup to programming the remote control for you, we'll make sure the job is done right. To speak with one of our staff members and schedule an appointment with a reputable home system installer, call Northwest Digital Media today. We offer free estimates. Seattle Sight and Sound has over 10 years of experience in custom electronics sales and installations. Our specialty is providing amazing entertainment systems for everyone, from simply mounting a wall hung tv, to wiring an energy efficient “smart” home. We will work with you from design to implementation in order to create a customized environment that will fit all of your tastes and preferences. Whether you have a current system that no longer functions properly or would like to start from the ground up, please contact us for a free consultation for your home, boat, or business. Cello Technologies is an Audio/Video, Communications and Integrated System design firm and low voltage contractor based in Seattle. We specialize in designing, installing and supporting home cinema, audio/video, light management, communications and control systems for high end residential projects, large yachts and specialized commercial applications (presentation spaces, board rooms and houses of worship). We work both in new structures as well as remodel/retrofit situations. Cello’s projects are concentrated in the Northwest US, but span the US and world. For our yachting customers we are supported by a worldwide network of preferred service providers. Your Seattle home cinema could soon transform into a media room that fulfils many functions. Some elements - like hidden cabling, concealed televisions and speakers - can be expensive, while home theatre designers have other little tricks that are much more affordable. Invest your money wisely and you could have a cosy entertainment room in your Seattle, WA home fit for a binge-sitting of Game of Thrones series as much as a perfect sporting finals experience. From seating and decor to your choice of amplifier, speakers and cables, any experienced home cinema specialist can help your dream home theatre take shape. Where is the optimal seating position? Will any old couch work as seating? What kind of lighting is best for movie marathons? Some of these Washington professionals work entirely on their own, while others work with subcontractors to get the job done. Here are some related professionals and vendors to complement the work of home automation & home media: Building Project Managers, Interior Designers & Decorators, Paint & Wall Covering Dealers, Furniture & Accessories, Specialty Contractors. Find a home theatre designer or home automation specialist on Houzz. 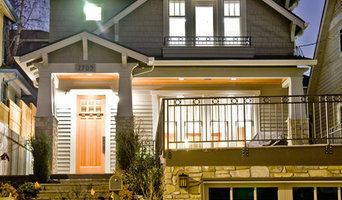 Narrow your search in the Professionals section of the website to Seattle, WA home media designers. You can also look through Seattle, WA photos by style to find a room you like, then contact the professional who designed it.